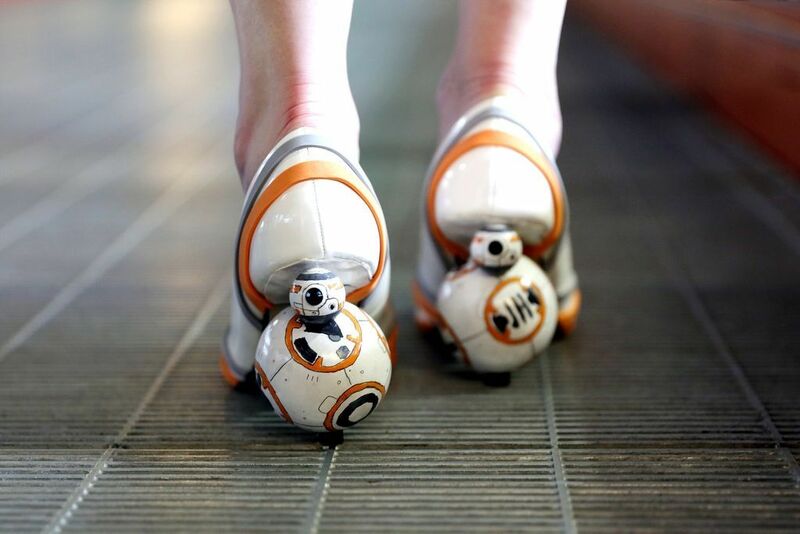 git yer first pair of Star Wars-inspired BB-8 droid shoes ! 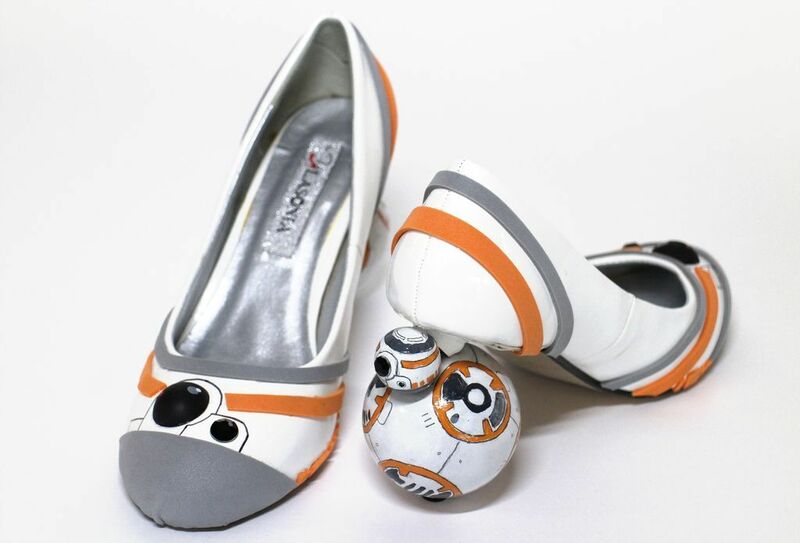 Instructables editor Mikeasaurus replaced the 2″ heels on a pair of white pumps with spinning mini BB-8 droids and then decorated the rest of each shoe to match. Head over to the Instructables project page for complete step-by-step process info.